Do you have a price for this and if so how much? I am looking to get this ASAP. I have things in order to start this and need to start, so please respond. I have e-mailed you as well. I am ready to order and interested as well! It is on the website now. Go to the store and look for the package deal. Be advised they drop ship the mixer from New York. I have had a label printed for shipment since June 2 and has not shipped yet. Do not know what the hold up is as they where going to be ready to ship Monday or Tuesday, which is June 6 or 7 Still not shipped. The Little Dragon and the bender come from Hawaii shipped out quickly was going to be here today but it got held up in USPS for a day so hopefully it will be here tomorrow. 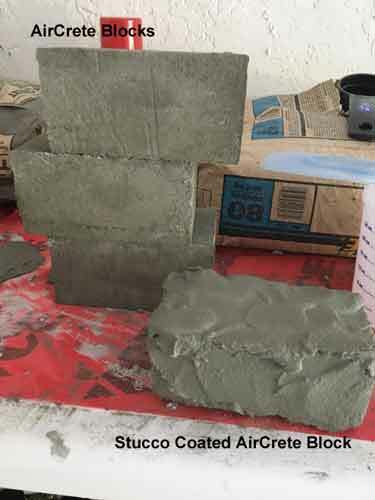 Being able to make some test blocks using a $2 dollar foaming soap pump/bottle from the grocery store allowed me to move forward in ordering the AirCrete Package Deal without hesitation! Just got my package ordered! Hopefully they were just needing to replenish their stock and will be shipping soon! I think we were wise to get our AirCrete Package Deals ordered before they release the new training videos as I see a lot of people going to place orders after they see the training films and there may be high demand for these items and longer wait times! Yes, they will be. It is hard now to get them out, can you imagine what it will be like when the videos come out! 2 of my packages are hung up somewhere now and one has not even shipped yet. They got the shipment of mixers in and was going to send them out the first of the week, according to Hajjar, but nothing yet! @FoamAir I believe I found the same mixer that Hajjar is using. It was on amazon. Here is a link. He is having lots of problems keeping his in stock so check with him and see if it will work. If you see this Hajjar please give some feedback on this. I cannot order this on since I have already ordered from Hajjar, used all money available for tools with his store. It is a heads up for others. You really dont need any of those. You can buy a manual one and attach to any heavy duty drill. That link above is no longer working. That looks like the one, may be a good back up if people are in a bind and needing a mixer. I think if you do a lot of mixing, you will want to use the 2 handed version to prevent user fatigue if mixing up a barrel every 5 minutes! I believe Hajjar will get the backlog figured out and have speedy turnaround for items ordered soon! I did order the plans and could have made the items (minus the bender) myself. I wanted to order the special package from (compensate) Hajjar as a way of saying thank you for all the help he has passed on with this much needed building methodology! This will also allow him to continue to keep going and invent and expand to help even more people. Everybody wins! We are part of and on the ground floor of a building revolution! @FoamAir Yes,I understand. We are in on the ground floor of a good thing. From what Hajjar told me he had the mixers in and ready to ship first of this week. So I expected it to be shipped already since I ordered it on the 2nd. He has helped me understand the process of how to make Air Crete and I am thankful for it. @Mike I have had package waiting to be picked up from Brooklyn, NY since June 2, 2017, posted at 3:43 pm. It says "Shipping Label Created, USPS Awaiting Item. Delivery date is Unknown. Thanks for the efforts for resolving the issues. @chipc I have the same thing on my shipping tracking number from Fedex. It has a delivery date of the 13th, but it has not been picked yet. Not sure what is going on, as there is no communication on hajjar`s side or the dropshippers side. I did see this about the Foam Injection AirCrete Mixer today. Maybe it was out of stock when ordered and it did not show that on the package page? "Temporarily out of stock." Expect 2-3 weeks for delivery. 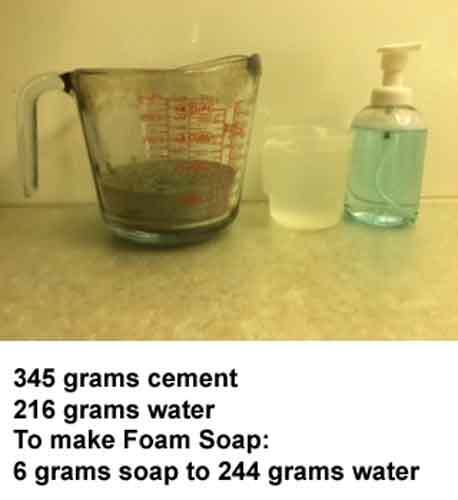 ​Makes 43 gallons of AirCrete in a few minutes. I created the shipping labels a several days ago when I thought they were ready to ship. But they were held up until now. I got confirmation yesterday that they are ready to ship. I just resent the shipping labels. They should ship today or by monday. You should be getting the mixers sometime next week. Thanks for your patience. We'll do our best to make sure this doesn't happen again. @Mike I shared links like this in the past. We ordered a couple for our Mexico workshop. Even though it looks the same they had smaller mixing paddle and were of lesser quality. One customer ordered one that looked the same, but it arrived with a different housing that wouldn't fit our foam injection attachment.